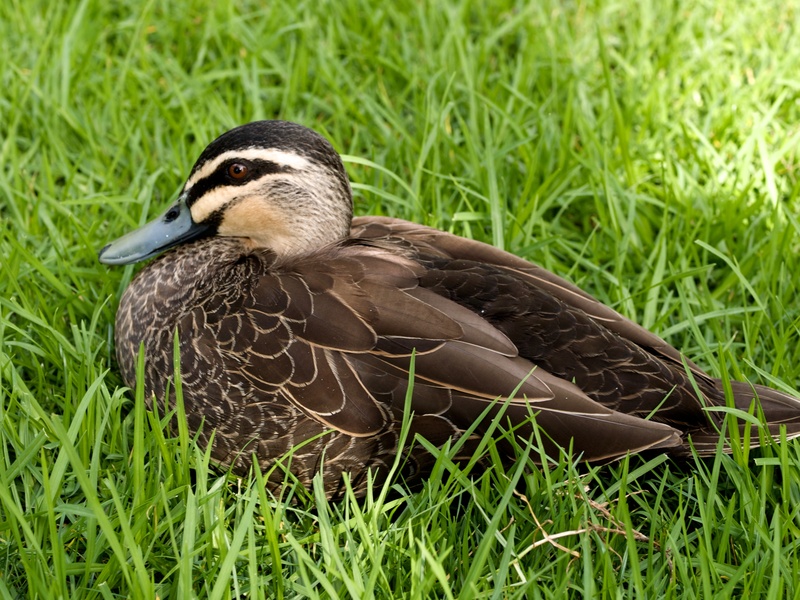 This is a Pacific Black Duck, Anas supercilious, and is found in most of Australia except for the central deserts. Its habitat is usually deep heavily vegetated waterways such as swamps. At times it will be found in open water and wet paddocks. This particular one was living in an inner city pond, no doubt being fed by the visitors to the gardens. In size it will be between 47 to 60 centimetres. 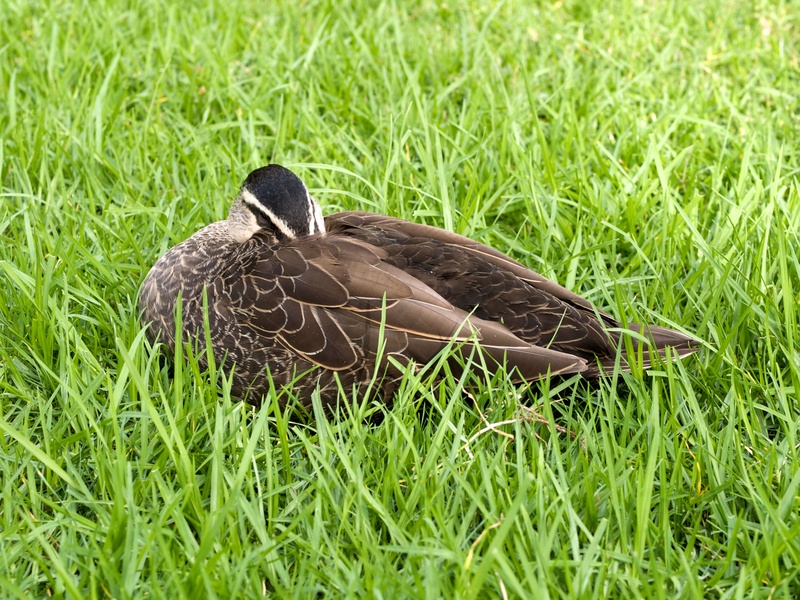 Pacific Black Duck – keeping an eye on passers-by. 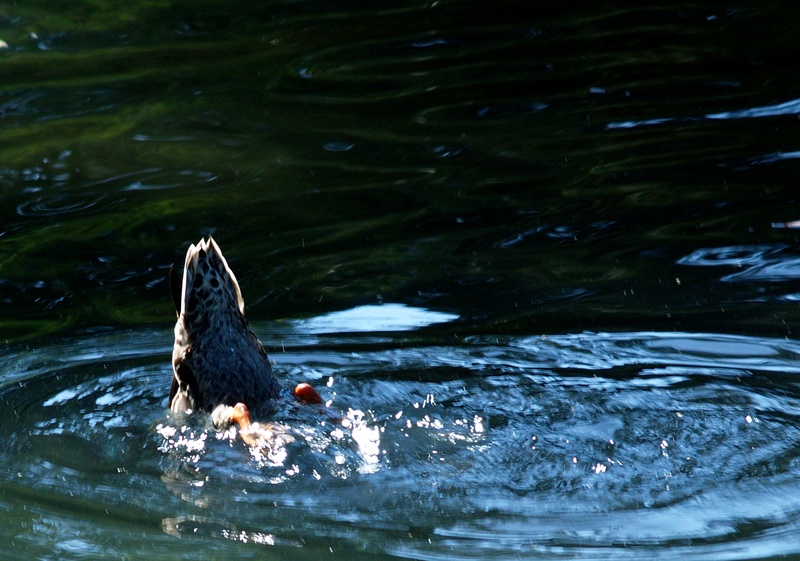 The following image is one I took several years ago in New Zealand and it illustrates how the Pacific Black Duck forages for food. This is referred to as dabbling. These birds are mainly vegetarian but will supplement their diet with crustaceans, aquatic insects and molluscs. The Pacific Black Duck is closely related to the Mallard, A. platyrhynchos, a species introduced from the Northern Hemisphere. They have very similar habits and the two species will interbreed. A few weeks ago I spent a lot of time in our local Botanic Gardens taking photographs of the flowers and trees. 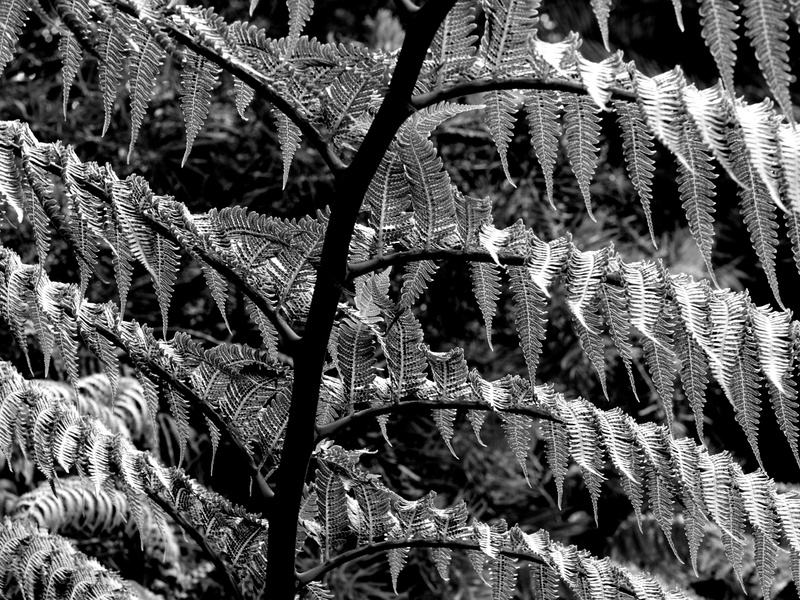 This particular fern was identified as a New Zealand Black Tree Fern. Today I got around to processing it, and thought I would see how it looked as a black and white image. I am so taken by the result I am now thinking of getting it printed as a 16inch x 20 inch print using Kodak metallic paper. I have only ever used this paper for colour prints and I have never been disappointed with the result. I have been told that it is an excellent paper for black and white printing. Has anyone out there had any experience with this? Your comments would be appreciated. 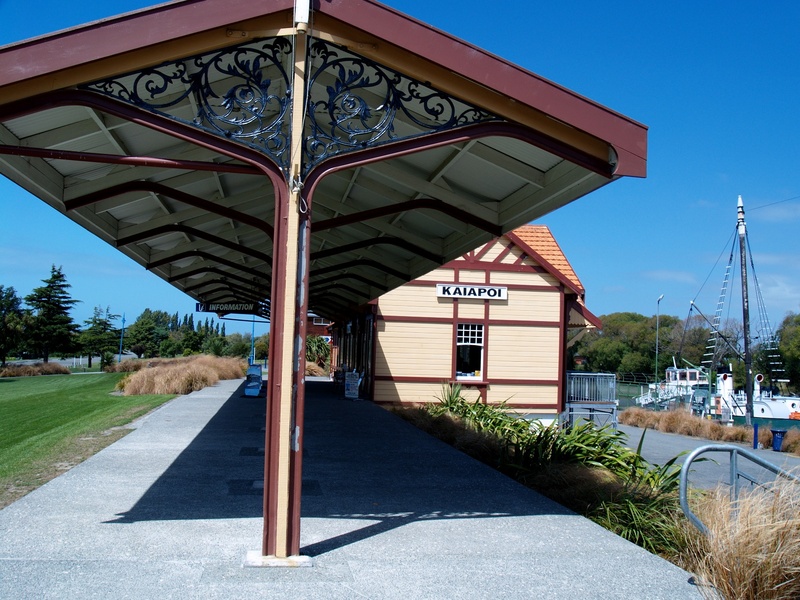 This photo was taken a few years ago while I was in Akaroa, New Zealand. 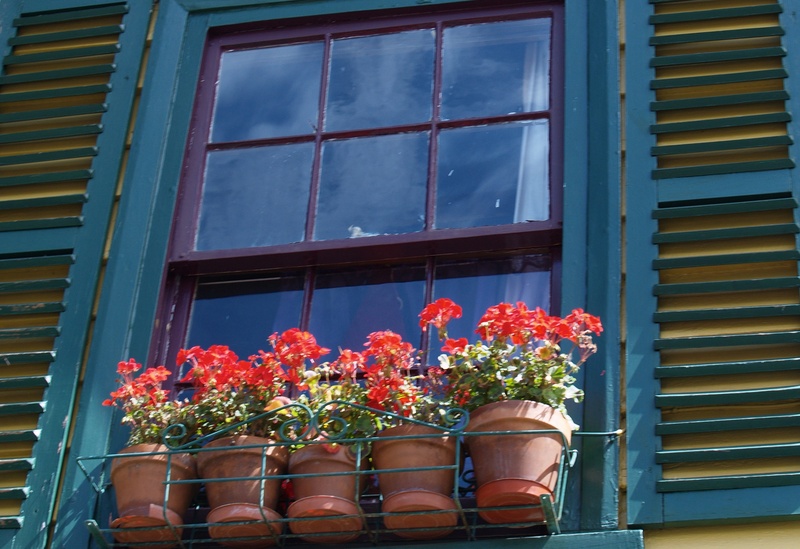 It was the splash of red that caught my eye, even though the building itself was painted in bright colours. 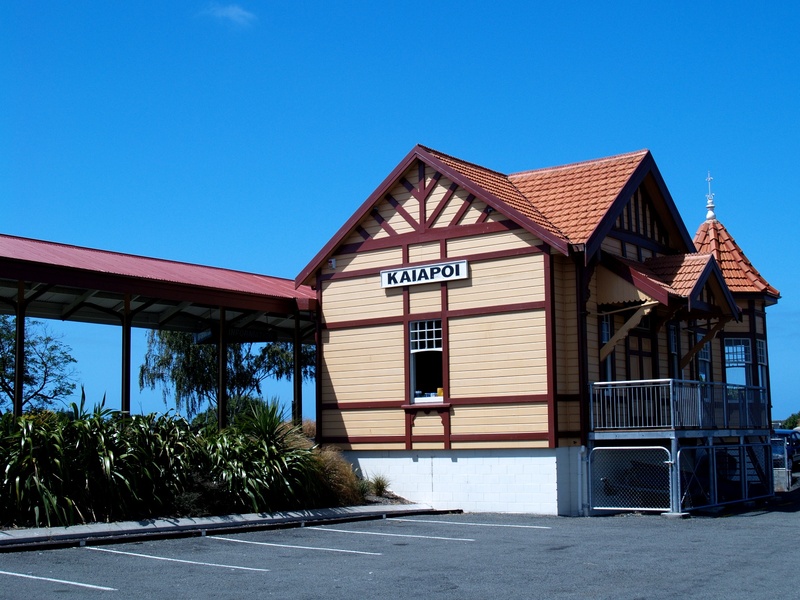 The Old Railway Station at Kaiapoi, New Zealand, was moved to its present site on the river bank and restored after being damaged and falling into disrepair. 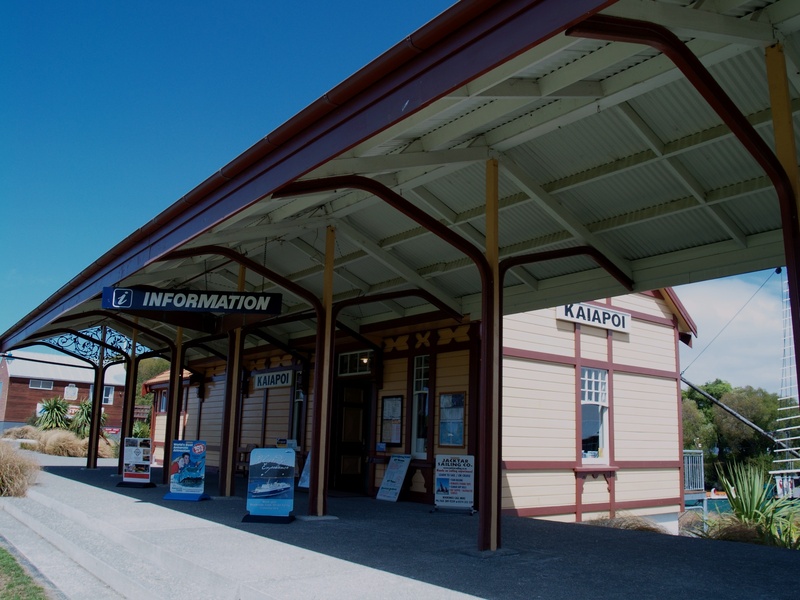 It is now used as an Information Centre.